One of the (many!) benefits of getting married in Delaware is the proximity to the beach. 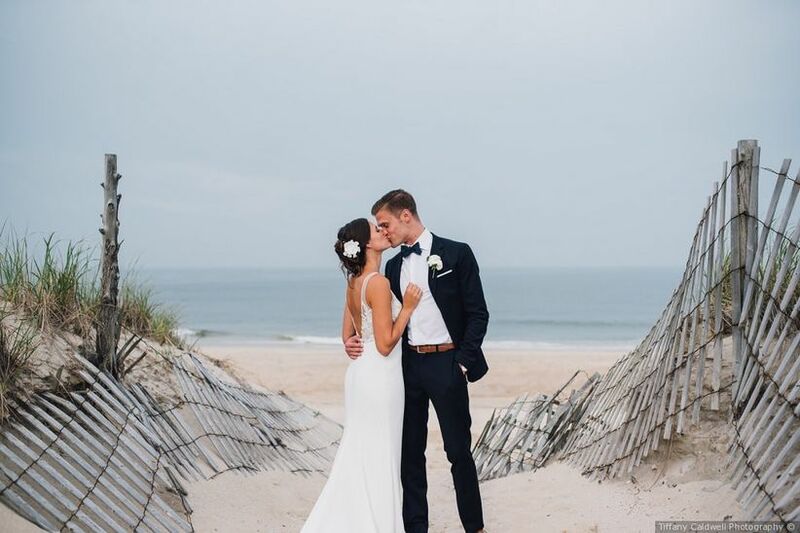 From Rehoboth to Bethany, Lewes to Dewey Beach, there are lots of beach wedding venues in Delaware to choose from, whether you’re going for a nautical-chic country club vibe or a more laid-back, toes-in-the-sand celebration. 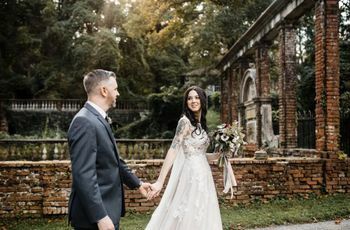 As an added bonus, many of these venues are all-inclusive, making your planning process even smoother, and some even offer on-site accommodations—perfect if you’re hosting a Delaware destination wedding. These nine beach wedding venues in Delaware are ideal for a warm-weather event. 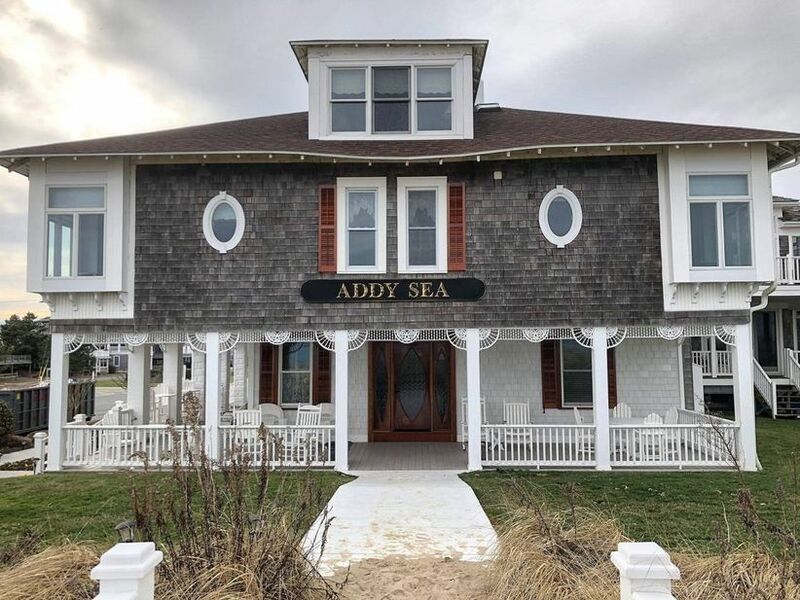 If you’re hosting a smaller event and are looking for a beach wedding venue in Delaware, this bed and breakfast in Bethany Beach might be just the place. With 13 guest rooms and event capacity for up to 120 guests, this charming B&B offers ample charm. You can host your ceremony on the oceanfront lawn overlooking the Atlantic dunes, or on the beach itself. 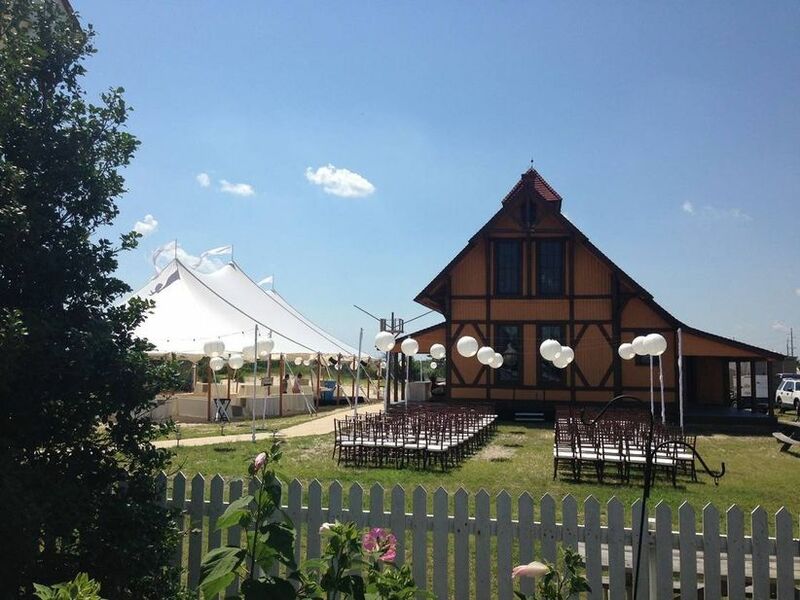 Wedding receptions are typically held outdoors or in a tent on the property. In-house catering is provided, and a customized menu can be created to suit your tastes. 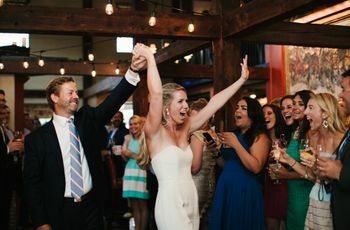 Yes, it’s a bit of an odd name for a Delaware wedding venue, but this Rehoboth Beach, DE venue is a beloved spot for relaxed, beachy weddings and events. This historic location in Delaware Seashore State Park allows you to have your ceremony and reception right in the (white) sand, whether you’re hoping for a fully outdoor or tented event. This venue can accommodate up to 250 guests and outside catering is allowed. This beach wedding venue in Delaware is the perfect choice for a laid-back event with the ocean as your backdrop. 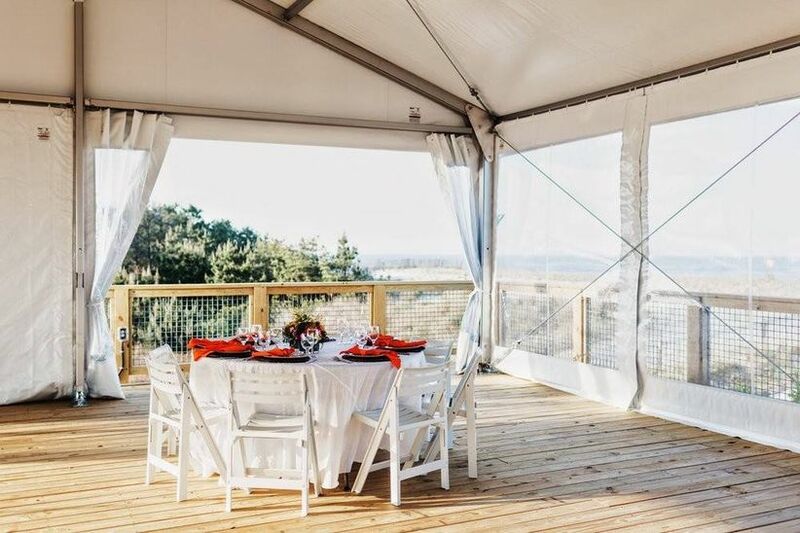 Host your ceremony on the beach, with a reception in the event tent, featuring 360-degree views of the Atlantic coastline and Rehoboth Bay. The event tent can host up to 160 guests for a seated dinner, and in-house catering is provided by the highly-regarded Nage Catering. This venue is available for weddings from April through October. 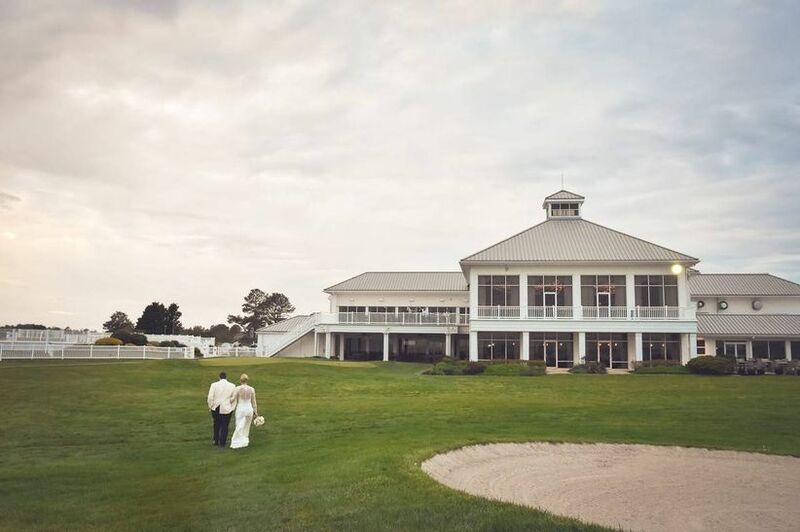 We love how this venue effortlessly combines a classic country club with a relaxed beach wedding venue in Delaware. There are ample indoor and outdoor settings for weddings, including the incredible clubhouse with its classic banquet room. Wedding ceremonies may be held on the impeccably-manicured golf course, and tented options are also available. This is an all-inclusive venue, and couples rave about the food and staff. You’ll also love the nearby dock and waterfront area, which make ideal backdrops for amazing wedding photos. 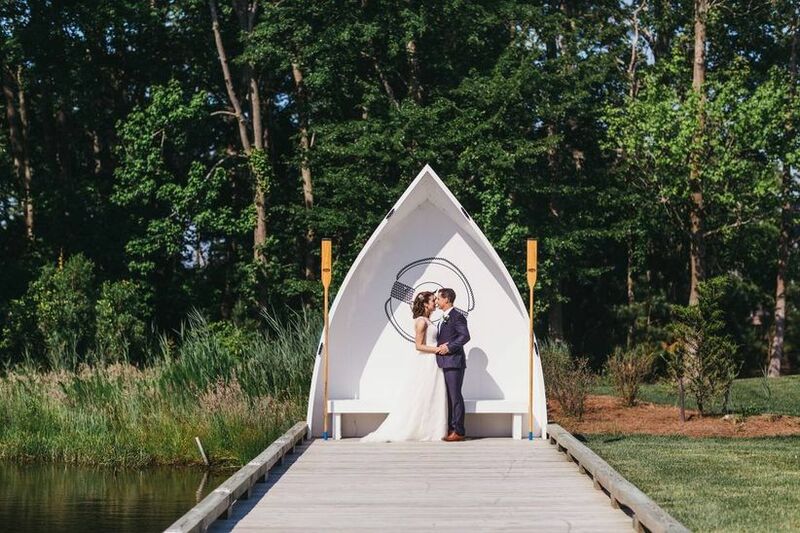 Couples looking for a beach wedding venue in Delaware that effortlessly mixes a nautical-chic vibe with a natural setting should definitely check out this Selbyville country club. Host your ceremony overlooking the bay, followed by a tented reception or a celebration inside the Cove building. The Bayside Resort Golf Club can accommodate up to 210 guests for events. 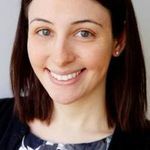 There are a several (affordable!) wedding packages to choose from, and this is also a popular spot for bridal showers, rehearsal dinners, and engagement parties. 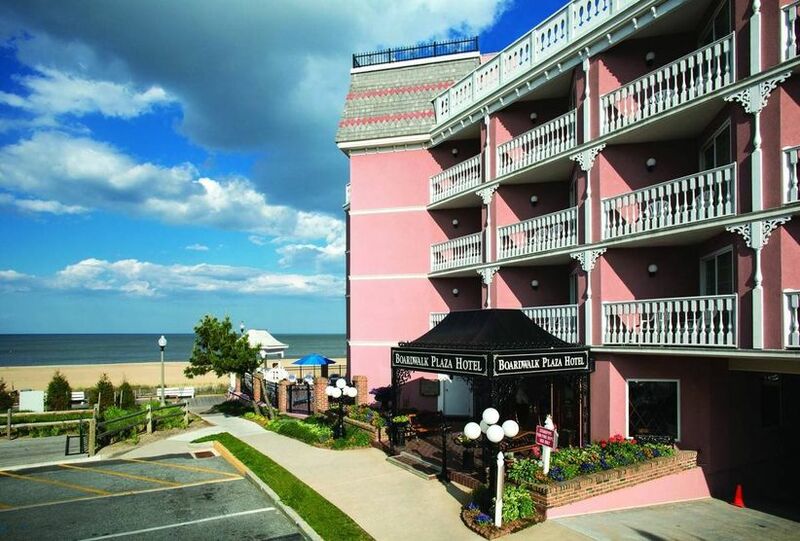 This Delaware wedding venue, located in Rehoboth Beach, is one of the top banquet halls in the state. With over 14,600 square feet of event space, this venue can host even the largest of guest counts, with room for up to 1,000 guests. 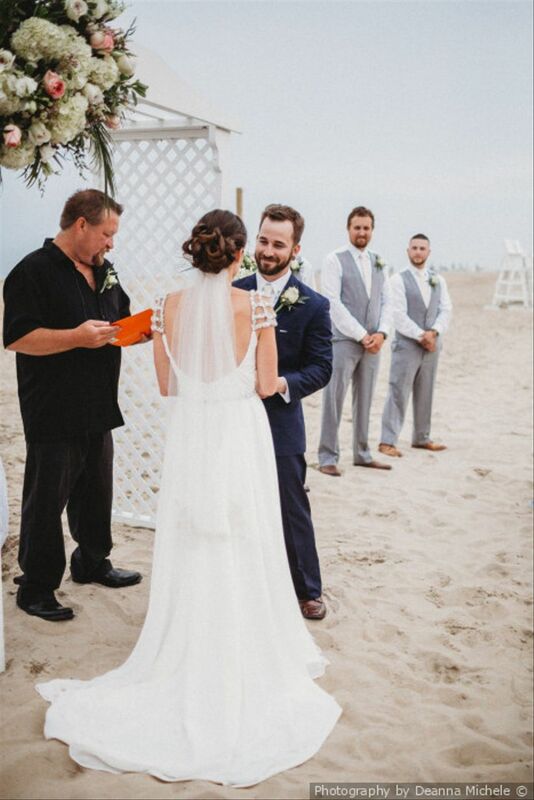 The beachside venue allows you to host your ceremony right in the sand, with the bay as your backdrop. Receptions are held inside the event center—we love the neutral, modern décor. Whether you’re envisioning a plated, buffet, or cocktail-style reception, the all-inclusive Lighthouse Cove’s catering team can make it happen. If you’re planning a larger destination wedding in Delaware, this is an ideal venue in Rehoboth Beach. Exchange vows on the beach, followed by a reception in the 3,000-square foot ballroom, with large windows overlooking the ocean and room for up to 275 guests. There are six smaller event spaces inside the hotel for rehearsal dinners, smaller receptions, or other events. Plus, the Atlantic Sands Hotel has 180 guest rooms so all of your loved ones can stay on-site for the ultimate destination wedding weekend. You’ll also love the affordable wedding packages, which start at just $85 per person, and include catering, premium bar, rentals, and more. 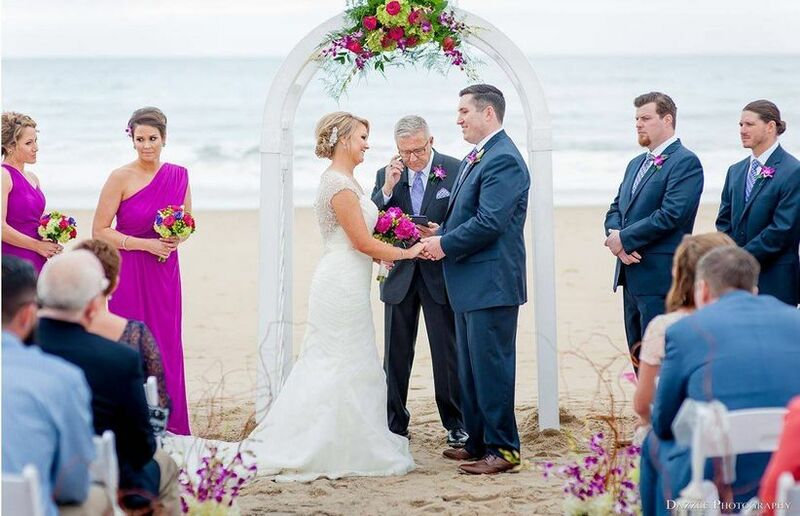 For a more intimate destination wedding experience, check out this Rehoboth Beach hotel and beach wedding venue in Delaware. With space for up to 120 guests, you can host your ceremony on the beach and reception in one of the hotel’s banquet halls. There are several all-inclusive packages to choose from, plus there are 84 guest rooms so your whole crew can stay the weekend. We also adore the Boardwalk Plaza Hotel’s Victorian feel, which is ideal for a vintage-inspired wedding celebration. 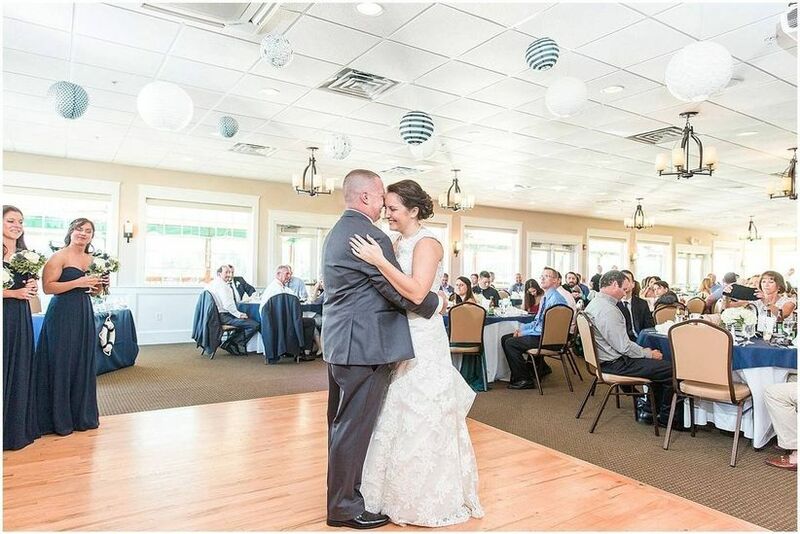 Located on the second floor of the Irish Eyes Pub & Restaurant in Lewes, Delaware, this restaurant wedding venue is a lovely site for events of up to 160 guests. Ceremonies may be held on the covered 1,100 square foot deck and receptions inside the banquet hall, complete with views of Lewes Harbor. In-house catering is provided, and the chef can create a custom menu to fit your tastes and budget.